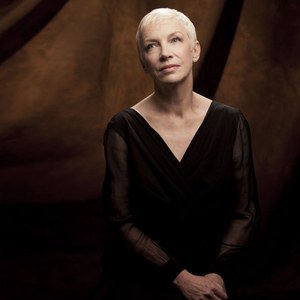 Annie Lennox is an Oscar, Brit and Grammy award-winning pop musician and vocalist. She was born on December 25, 1954 in Aberdeen, Scotland. After three years as lead singer of The Tourists, Lennox achieved her most notable fame as the alto, soul-tinged lead singer of the 1980s rock duo Eurythmics with British musician Dave Stewart. Early in the Eurythmics' career, she was known for her androgyny, wearing suits and once impersonating Elvis. Journalists often referred to her as "the white Grace Jones".